Why no cool cooking hospitals? There are a lot of cool looking public buildings in the world. In my limited travels I have seen dozens of high style museums, libraries, corporate offices, schools and even government buildings. But I can’t think of one high style hospital. Why? Can’t Afford It? You do have to pay more for high-style, but with 16% of the GNP being spent on HealthCare, there are billions of dollars going into construction. Customer’s Too Conservative? The customer’s who pay for hospital construction are the hospital or corporate boards. They are made up of perhaps a dozen people. I can’t see why hospital boards are more conservative than other boards. Won’t work? If form follows function, is there something about the way hospitals work that prohibits High Style? There are many regulations such as those published by the Joint Commission but I don’t think they prohibit buildings from looking cool. Convention! I suspect that the answer to my question “Why No Cool Looking Hospitals” is that there is an accepted convention that hospitals should not be cutting-edge design. I believe that the quality of Healthcare architecture has greatly improved in the past 10 years. On the projects that I have been involved in, several reoccurring themes on the reason why hospitals should keep away from an avant-guard approach to design is directly related to the question on money and where to best use it. Most facilities believe it is more important to use funds for newer equipment and expand the quality and quantity of their service lines rather than develop high-design……………this is hard to argue with. They also have a hard time at the community level with the notion of “over building” or “building to extravagant”, many of their patients believe that the cost of healthcare is too expensive, and so when they see an expensive looking structure, they believe that it is the reason for over priced services. Now these are their comments not mine. There is much value in providing an environment that is spiritually moving, especially in a healthcare setting. It is very hard to place a tangible benefit to this value. Lastly, the types of projects that you list as being “cool looking” such as museums and corporate offices typically have the most important component in order to achieve a truly great piece of architecture, and that is a patron, this has been true throughout history. Most if not all hospitals are run by a board, and therefore, it is rarely the case that a great design will come from the midst of a committee. Many good comments so far although it has been my experience that the governance by a board does not preclude a strong design statement. Most corporate, institutional, public and non-profit entities are lead by boards as well and that has not stood in the way. 1. Most hospital campuses already exist and have for some time. A large percentage of healthcare commissions are “adding to the pile of bricks”. Inevitably it becomes a challenge of inserting a new (small) piece into an existing (large) context and that context can be very dictatorial. 2. Attracting senior / skilled designers to play an significant role in hospital projects is a challenge within the profession. Reasons–a demanding functional program, item #1 above, making a commitment to the lengthy time frame from concept to completion, the DNA of the client to be predisposed with function, flow, operational logistics, and effeciency. In reality most of this is not true but the perception is out there. My opinion–there’s some beautiful stuff that has been done / that’s underway. The 60’s view, when much of the hospitals were built with Hill-Burton funding,was that the hosptial was a “machine” has come and gone. My first reaction to your question, frankly, was one of irritation at its superficiality. But then I thought that you raise an importatant question that deserves a thoughtful response. Unfortunately thoughtful responses take time. So my response is in the form of a summary, a kaleidescope of thoughts that one day may be turned into an article. You use phrases like”cool”, “high style”, “cutting edge”.when what I think you are asking is why do hospitals rarely, if ever, achieve the status of “architecture”. 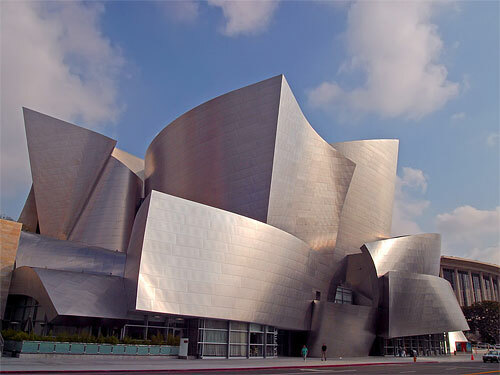 You illustrate your question with a photograph of the Disney concert hall as if to imply why can’t hospitals look like this? You will note that a concert hall is where people go to be entertained, where they go from free choice, where daylight is not needed, where windows for patient rooms do not clutter up the façade, rather than a hospital as a place that people go to out of need not want. Hospitals are arguably the most complex buildings to design. Highly serviced, many small rooms, privacy, safety, quality of care, staff stress, technology, flexibility, rules and regulations, significant costs and so on. I believe the closest we have come to achieving “architecture” in healthcare is The Lucille Packard Children’s Hospital at Stanford. No its not cool, nor high style nor cutting edge. It is restful, stress reducing, efficient, child friendly, a good neighbor to its surroundings, well mannered and respectful of the architectural tradition of Stanford. Flooded with daylight, a lush mediterranen landscape internally and externally, courtyards, balconies, a roof garden, places of respite for stressed parents and a world class art collection which parents, in particular, appreciate as they wander the corridors at night while their child sleeps.It is based on a subtle contrast between the toy block rectangular exterior and the gentler,softer, curving, maternal interior spaces. Is this architecture? You will have to feel it and then decide. You can tell that I am not impressed by flashy, “look at me”, one off, ill mannered, disrespectful buildings. Architecture stands the test of time. Kings College Chapel, The Farnsworth House, much of Saarinens work, Taliesin. Having said all of that, there is no doubt that we can do better in healthcare design. We need to continue to strive for “architecture for health”. It needs to be based on evidence not superficial stylistic trends. It needs to be devoid of adolescent phrases like “cool”, “fab” and the like. Thanks, Henry, for the work you do, and for the opportunity to respond to your question. To begin with, I can’t accept the Disney Center as “cool” looking. It is irresponsible. For the sake of a cartoonish pose it relinquishes it’s responsibility to bring daylight to the interior, respond positively to the climate and make a place for people in relation to the neighborhood and the planet. Of course I can go on, but buildings have a social responsibility to be sober, not careening postures of “fun” places. As a fan of sculpture I like Gehry. I think inhabitable sculpture to be magic. Sculptural materials have size limitations. Architecture, in addition to all of its other duties, has the ability to take sculpture BIG. Impractical dream spaces are important to me, whether they are built or merely imagined. Great discussion. I think Henry was hitting on the idea of utopian architecture. Think of Frank Lloyd Wright’s Broadacre City – aesthetic considerations were of the highest importance for all architectural structures. Why should any building be an eye sore, or even boring? I think architecture fails in some way when it doesn’t elicit a positive response (whether conscious or unconscious). That said, reader, you should know that I think about architecture as ‘functional art’, and I think of architects as ‘artists’. Regarding hospitals specifically, I understand that healing patients is the top priority. Just stepping back and considering my own hospital stays and emergency visits, I think a lot more can be done to visually welcome and calm people. The typical feeling I get when going into a hospital (based on primary facades/entrances) is one of entering a cave or some top secret, high security enclave – a totally foreign territory. Scary. Sterile. Definitely not warm, inviting, approachable — and far from beautiful/visually interesting. Do hospitals have to look intimidating? I love Gehry’s work, but I don’t think you have to go that far to make hospitals (and other structures like gas stations, park shelters) more pleasing in appearance. I think the industry has come a long way in terms of addressing the inside of hospitals, but I’d personally like to see interesting solutions on the outside too. 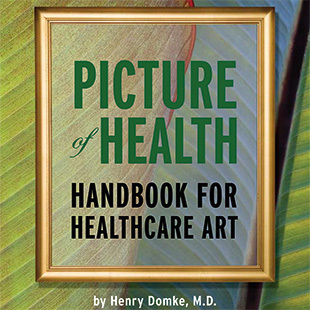 Health departments who approve building projects do not allow any non essential expenses in many states and hospitals do not have private funds to cover aesthetics. The public does not wish to pay any more then they are already paying for health care.